KAMPALA– The National Resistance Movement secretary-general Justine Kasule Lumumba Tuesday called on the family of the late Jane Namara to convey her condolences. 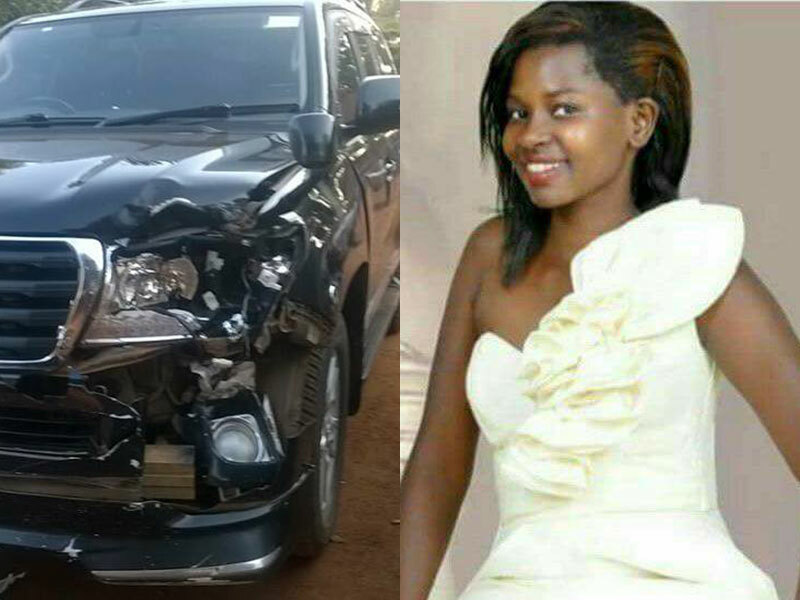 Namara 22, was killed on Monday after being hit by Lumumba’s official car on Entebbe Road. The late was born to Maj Sebastian Kahenje–a UPDF soldier killed in combat while serving under Amisom force in Somalia–and Joan Kahenje. Lumumba met close family members of the Kyambogo University graduate, including her grandfather Deus Rutazana and aunt Goretti Mbabazi in Lweza, a Kampala suburb. However, detail of the private engagement between Lumumba and the family members could not be readily established although sources close to the all-powerful NRM secretary-general say she offered some reparations as part of commiserations. The deceased will be buried on Wednesday at Kanamo Village in Bushenyi District.